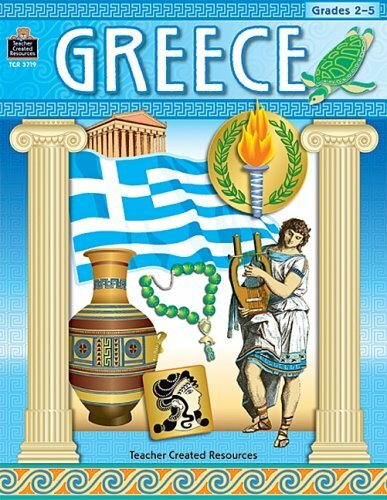 A retelling of Greek mythology and ancient history as recommended for home schoolers and for the Waldorf curriculum, classes 5-6 (ages 10-12). 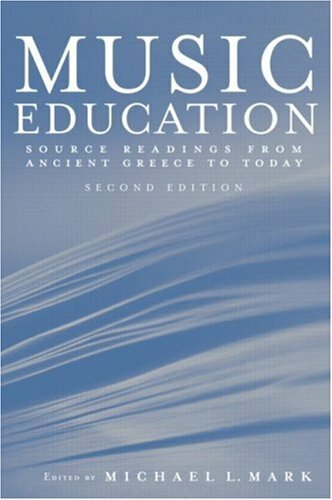 Music Education: Source Readings from Ancient Greece to Today is an anthology of thematically organized essays that illustrate why music education has been valued by cultures and societies from ancient times to the present. 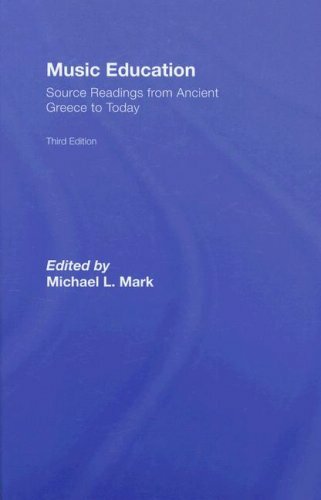 Writings by societal leaders – civic, political, royal, religious, education, intellectual – present views from many historical and current points of view. The third edition has been expanded to include such topics as feminism, diversity, cognitive psychology and the No Child Left Behind Act. This edition also includes writings about music education in countries on every continent. The global view of music education makes this book timely in a world of cultural fusion. 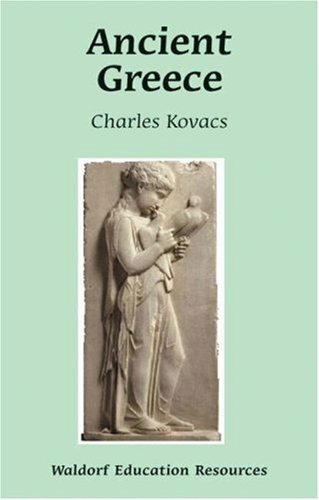 The Gymnasium of Virtue is the first book devoted exclusively to the study of education in ancient Sparta, covering the period from the sixth century B.C. 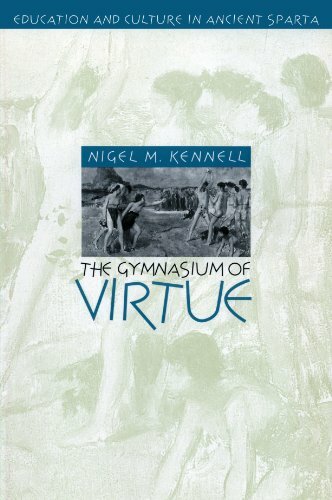 to the fourth century A.D. Nigel Kennell refutes the popular notion that classical Spartan education was a conservative amalgam of 'primitive' customs not found elsewhere in Greece. 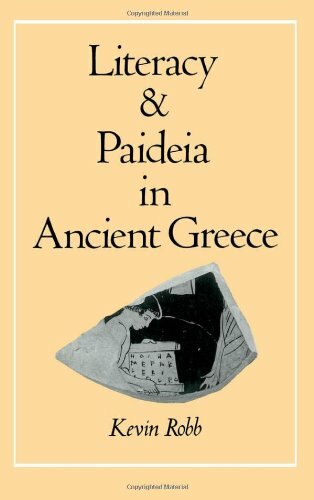 He argues instead that later political and cultural movements made the system appear to be more distinctive than it actually had been, as a means of asserting Sparta's claim to be a unique society. 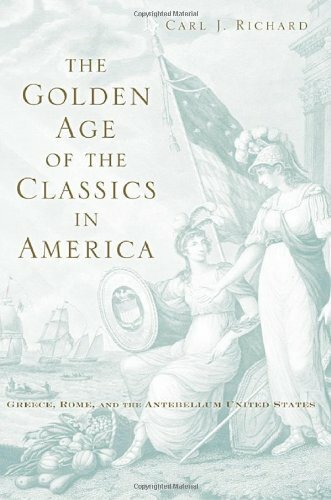 In a masterful study Carl Richard explores how the Greek and Roman classics became enshrined in American antebellum culture. For the first time, knowledge of the classics extended beyond aristocratic males to the middle class, women, African Americans, and frontier settlers. The classics shaped how Americans interpreted developments around them. The example of Athens allowed politicians of the democratic age to espouse classical knowledge without seeming elitist. The Industrial Revolution produced a backlash against utilitarianism that centered on the classics. Plato and other ancients had a profound influence on the American romantics who created the first national literature, and pious Christians in an age of religious fervor managed to reconcile their faith with the literature of a pagan culture. The classics supplied both sides of the slavery debate with their chief rhetorical tools: the Aristotelian defense of slavery to Southern slaveholders and the concept of natural law to the Northern abolitionists. The Civil War led to a radical alteration of the educational system in a way that steadily eroded the preeminence of the classics. They would never regain the profound influence they held in the antebellum era. Good activities...sloppy history. Don't let the errors go uncorrected! 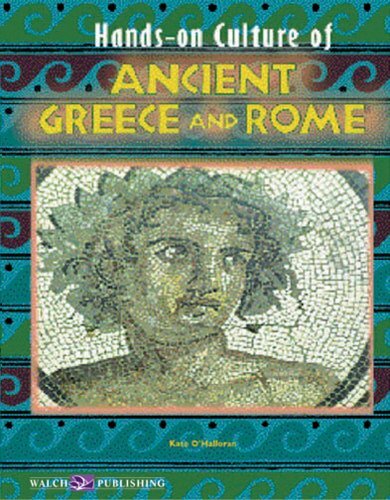 On the positive side, this book suggests some fun activities, like making your own Minoan-style fresco or Trojan horse. The authors also present some good discussion questions for the classroom, e.g., how has the concept of heroism changed over the last 3000 years? But this is supposed to be a history book, too, and on that count, the book has serious problems. Things get off to a bad start right away. 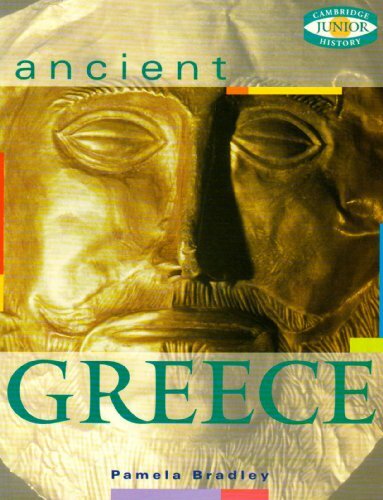 Who were the ancient Greeks? 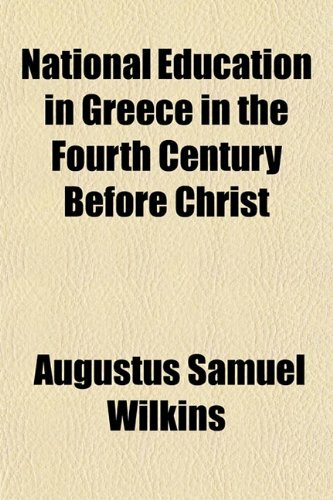 According to the authors, they were "people from Europe, Asia, the Middle East and Africa who met and mingled in the Greek islands." 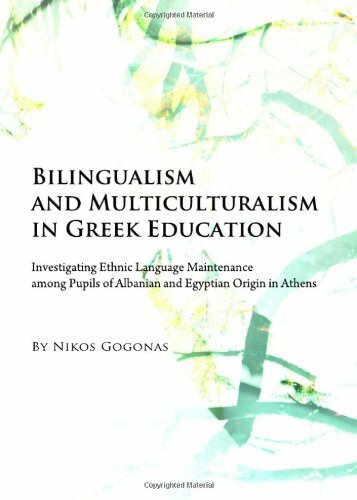 (p.8) What about the Indo Europeans who brought the Greek language (and other traditions) to the islands? They aren't mentioned here. "Early Greek was a lively mix of Hebrew (now spoken in Israel, Turkish (spoken in Turkey), Arabic (spoken on the Arabian peninsula), and other languages now lost in time." Yes, they really do say that on page 40. That's probably the most wacko statement in the book. But there are other questionable claims. *	Among other staples, the ancient Greeks ate "corn." You might think the authors are using the word "corn" in the British sense, i.e., "the seed of any cereal plant, including barley or wheat." But it's pretty clear that the authors are using the American definition of corn (i.e., "maize"), because "corn" appears in a list--"barley, wheat, millet, lentils, corn" p. 70. *	Bulls were sacred symbols to the Minoans. I don't know about you, but I hate this. The implication is that modern-day scholars depend on Monty Python-like reasoning to make claims about the past. The bottom line? I like many of the activities. I appreciate some of the "social studies" questions the authors have posed to the reader. But the history is sloppy. If the publishers respect history--and our kids' capacity for critical thinking--they need to run their manuscripts by a fact-checker before they go to print. The "Kaleidoscope Kids" series includes some truly outstanding books--e.g., Bridges: Amazing Structures to Design, Build & Test (Kaleidoscope Kids). This volume isn't in that league. When I was in the sixth grade we moved twice, and in all three of the schools from New Jersey to Connecticut to Japan I got to study Ancient Greece in the history part of the class.I also got a lot of mileage out of having read Edith Hamilton's "Mythology" (I still have my mythology report with my versions of all of the illustrations).But in all the times I got to study Ancient Greece before, during, and after the sixth grade I never got to do any of the fun stuff that Avery Hart & Paul Mantell come up with for "Ancient Greece! : 40 Hands-On Activities to Experience This Wondrous Age." 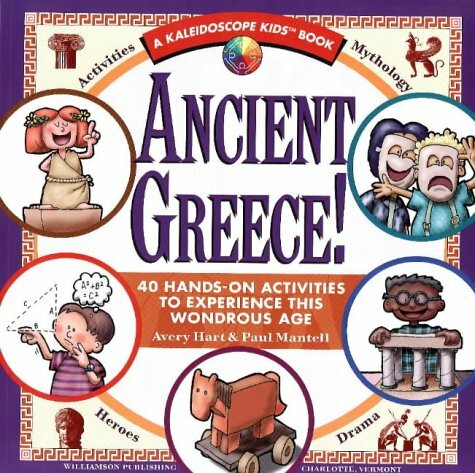 This Kaleidoscope Kids volume for kids ages 7-12 not only offers activities but also a variety of information about the Ancient Greeks.So this is not simply a book of activities that teachers can pick and choose from to give their students hands-on experiences, it is also a source of facts and stories that will supplement what exists in whatever textbook is being used.Throughout the book there are "Great Greeks!" and things to "Think About. 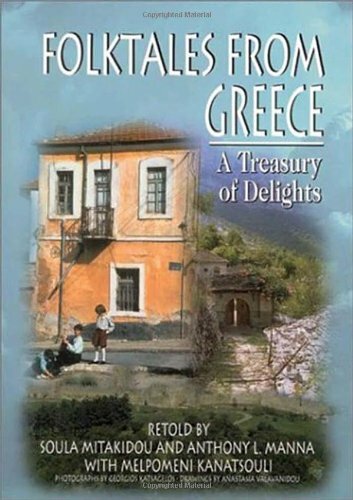 "After reminding young readers of the gifts that have come down to us from Ancient Greece, Hart and Mantell get students acclimated to the idea of looking at the past from the perspective of those who lived way back when.Then the book looks at key periods of Greek history. "Meet the Minoans: The Pre-Greeks of Crete" looks at the culture that gave rise to the greatness of Greece with activities to make a Greek yo-yo, a Great Mother figure, a Hamster Labyrinth (without the Minotaur), and a fantastic fresco.That gives you an indication of the sort of activities to be found in this book before we even get to Greece itself.Other chapters are devoted to "The Age of Heroes," where you get a super-short version of "The Iliad" and can build a Trojan Horse, "Language Unites!" (including speaking "Pig Greek"), "The Dawn of a Golden Age," where you can organize a pentathlon and make a victory wreath, and "Ye Gods! Greek Religion and Mythology," where you can design your own constellation. In the last part of the book chapters cover "Classical Athens: The Flower of Ancient Civilization," where you get to build a Greek Temple with Ionic columns (or even build the entire Parthenon), "Think For Yourself: Philosophy," where students can make a monochord or hold a symposium, and "The Amazing Arts," which covers create sculptures and painting pots in the first part and making masks to make up a Greek play in the second part.The final chapter covers "A Wider World: Alexander the Great and the Hellenistic Age," where you can start a library.At the end, students can appreciate how being a Greek meant standing in the center of the world (as least, as far as the Ancient Greeks were concerned). Again, there are some key issues to be discussed to go along with the activities.Students can debate what is the difference between a hero and a celebrity, understand why every vote counts in a democracy, and decide what makes somebody beautiful.Learning how to press olives or how huge blocks of marble were transported across the sea, gives students an appreciation for how things were different way back when.Throughout the book Hart and Mantell show how ancient ideas live on in modern traditions, which remains the biggest legacy of the Ancient Greeks. 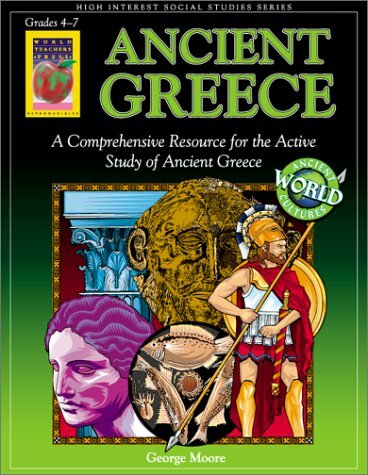 Combining teacher notes, historical information, high-quality reproducible activity pages and detailed drawings, Ancient Greece brings this ancient civilization to life in your classroom. Subjects covered include geography, agriculture, domestic life, culture and society, religion and so much more! Many hands-on activities included. Grades 4 to 7.